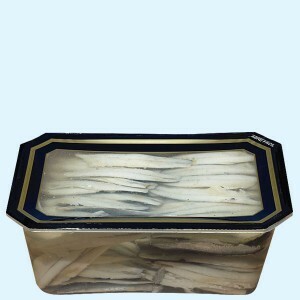 The jewel in our crown that has made us leaders in its manufacture. 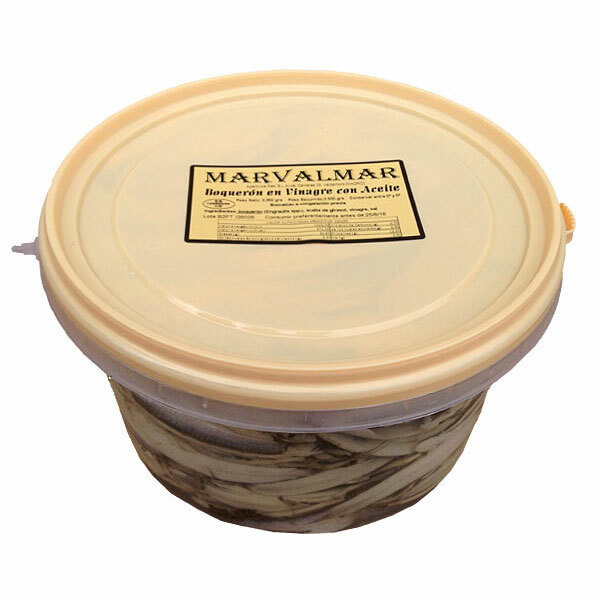 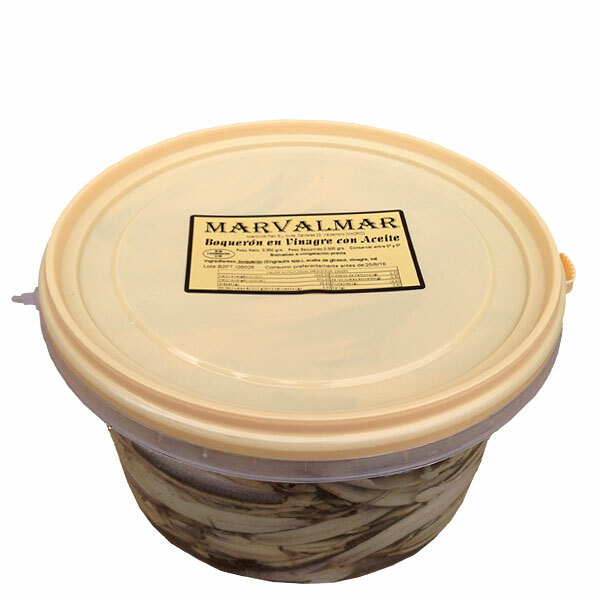 They are available in sizes ranging from 25 grams up to 100 kilo drums for factories that can be repackaged in smaller containers. 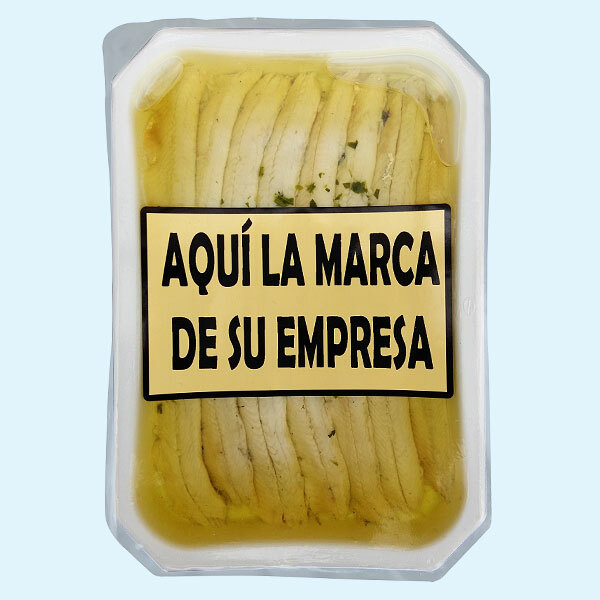 Dressings from the most classic virgin olive oil, garlic and parsley commonly consumed in Spain to the more specialist dressings for our clients outside of Spain. 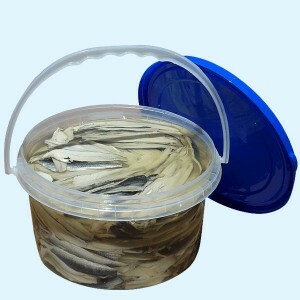 There are more sizes and products than appear here, so please don’t hesitate to consult us. 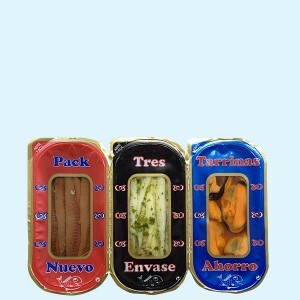 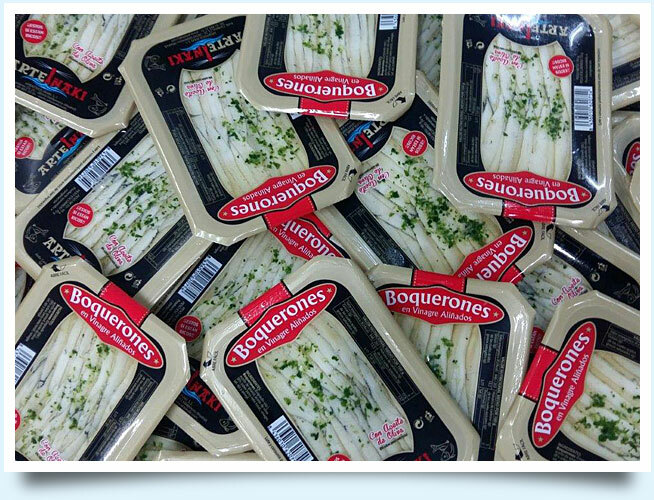 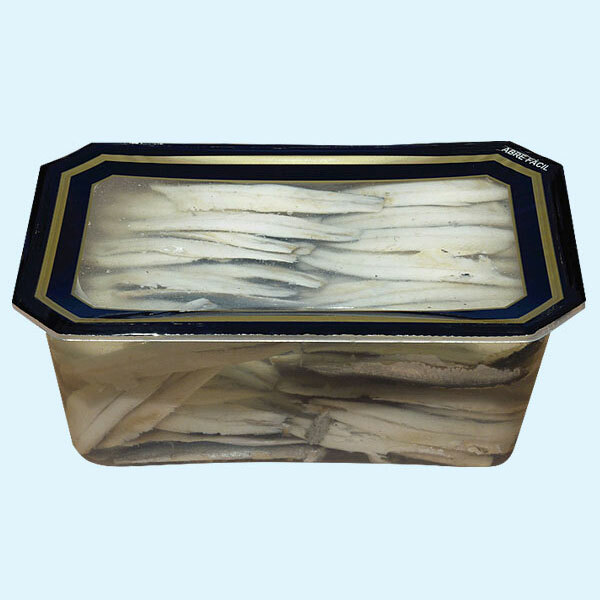 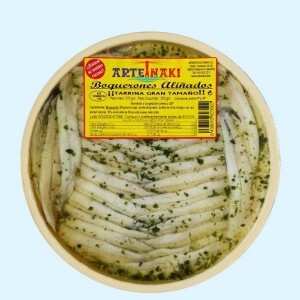 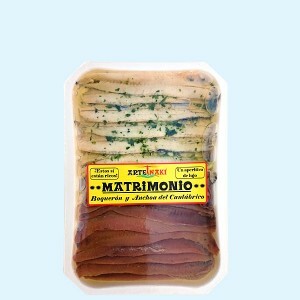 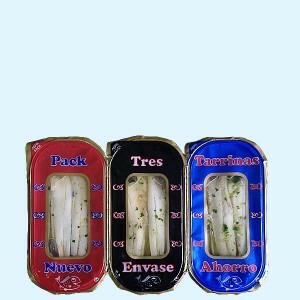 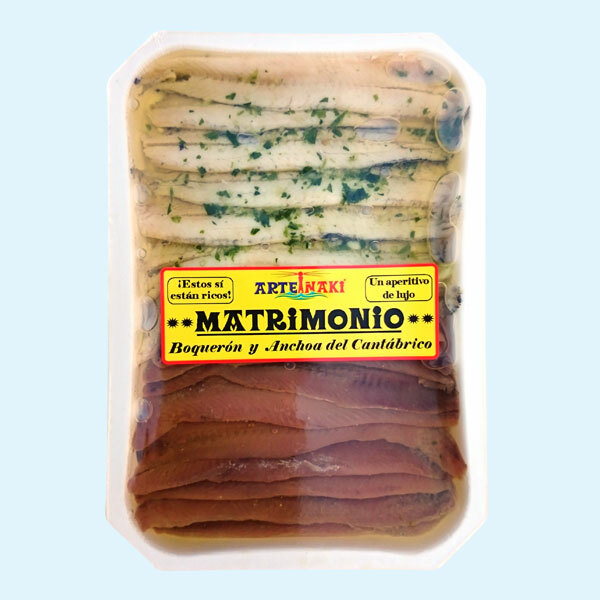 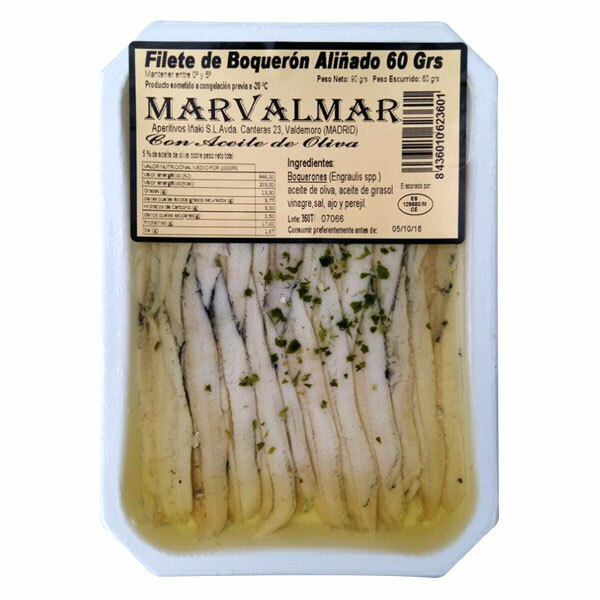 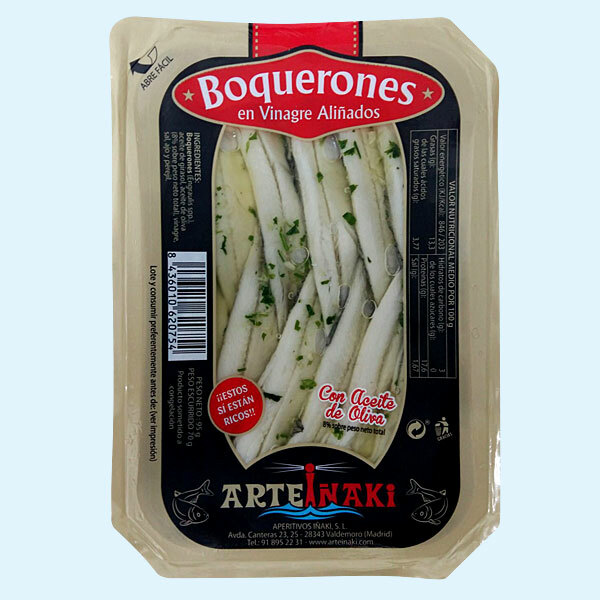 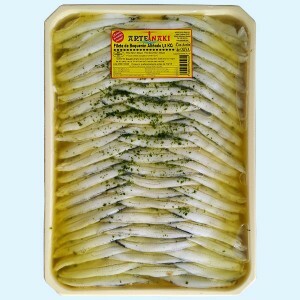 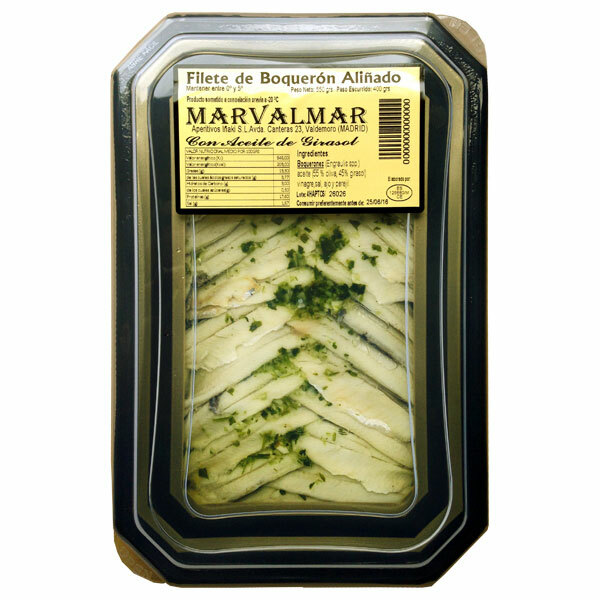 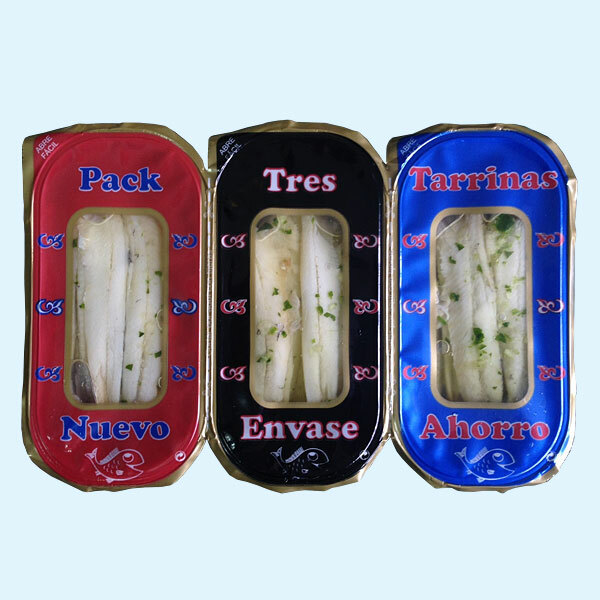 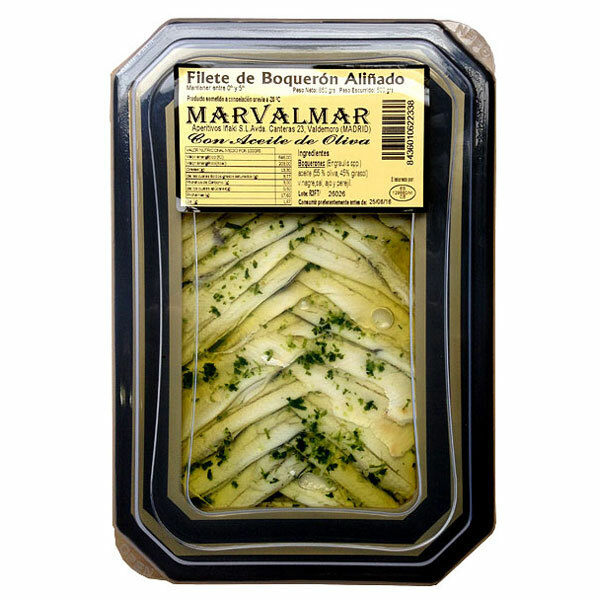 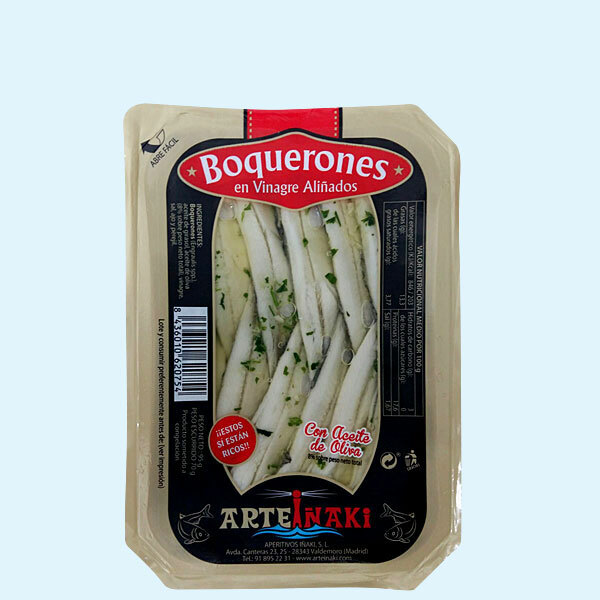 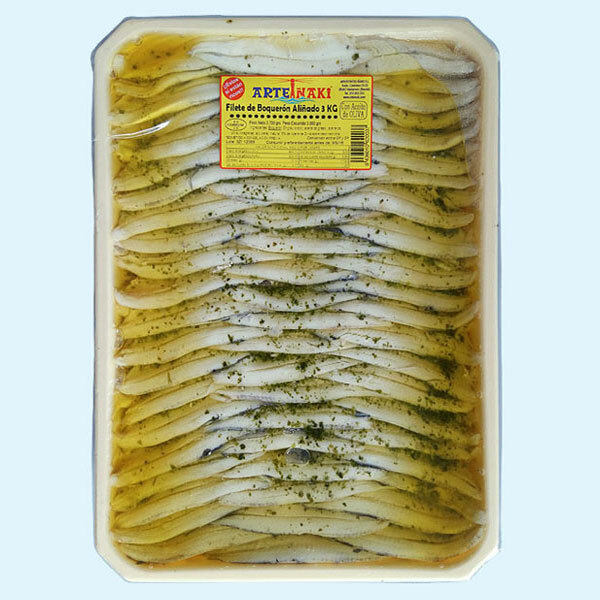 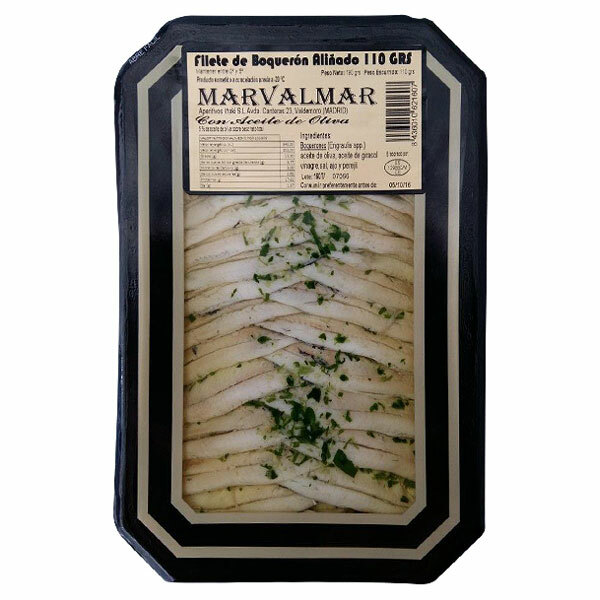 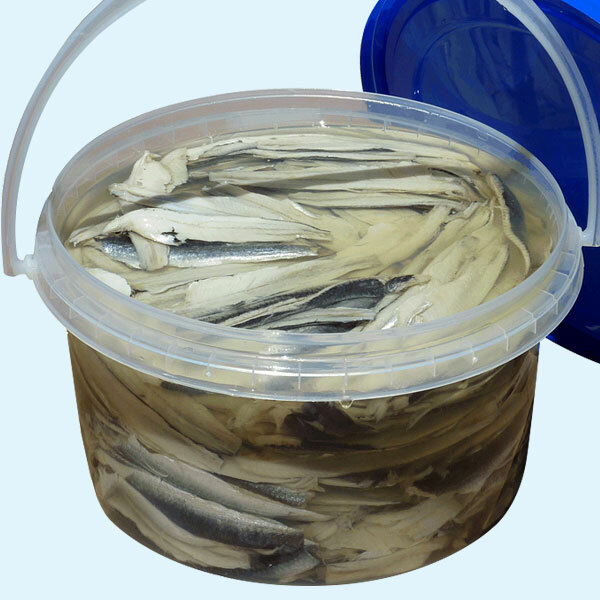 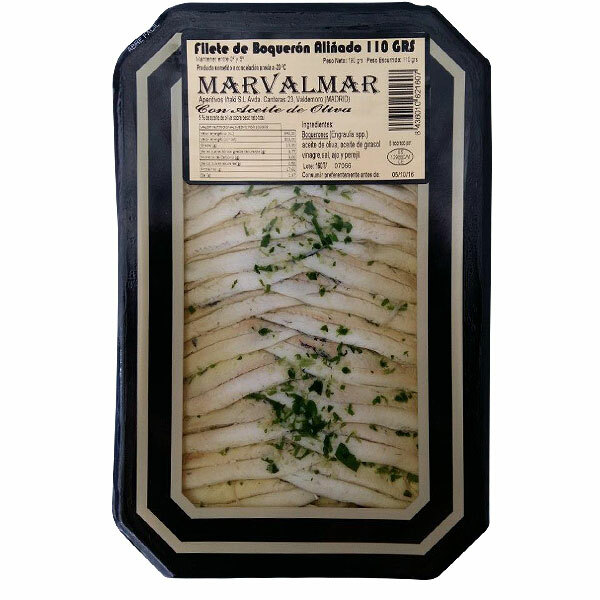 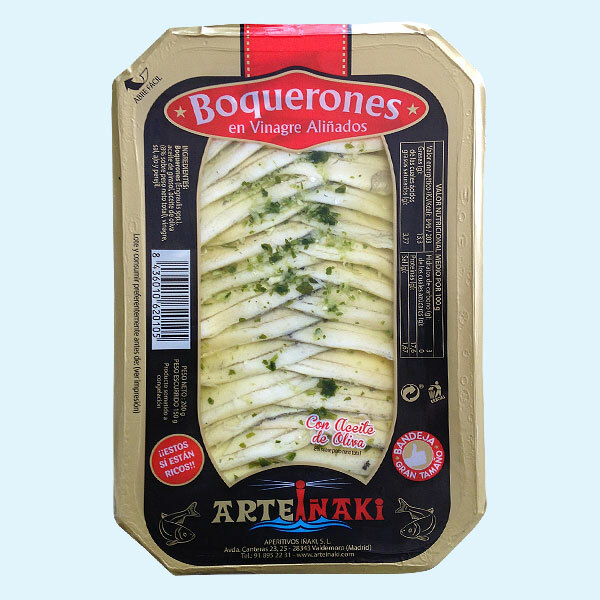 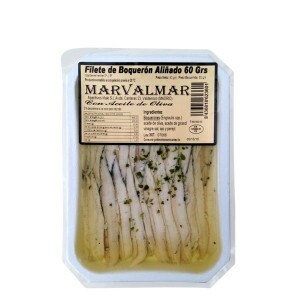 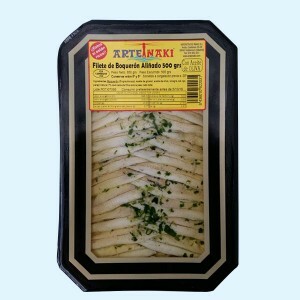 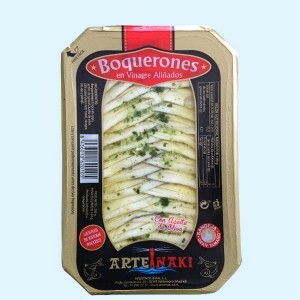 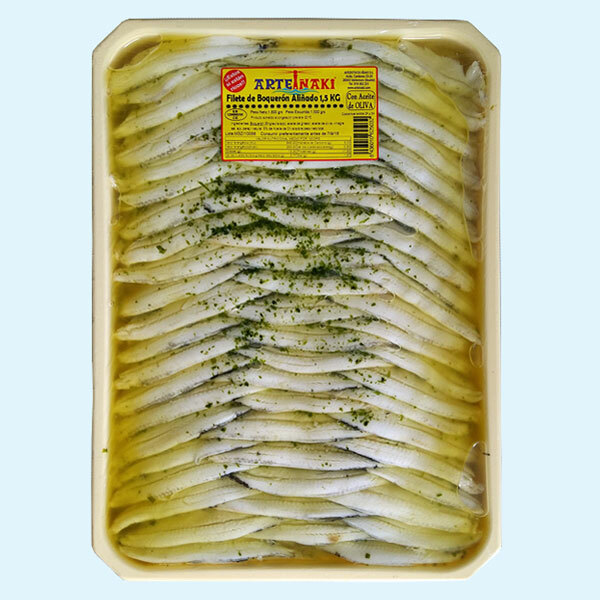 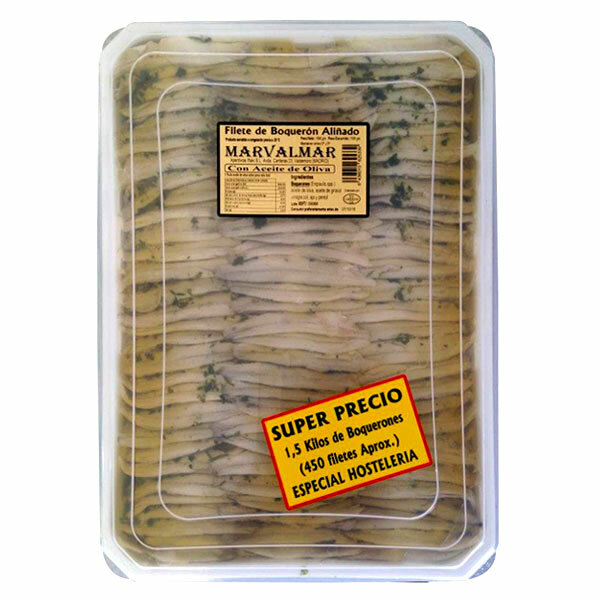 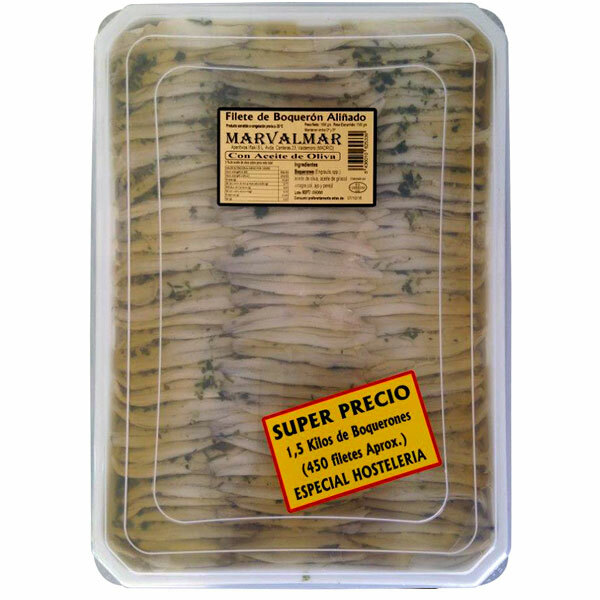 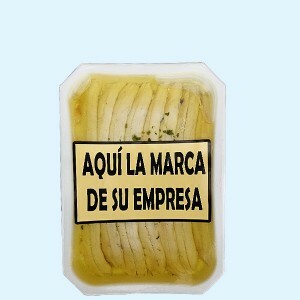 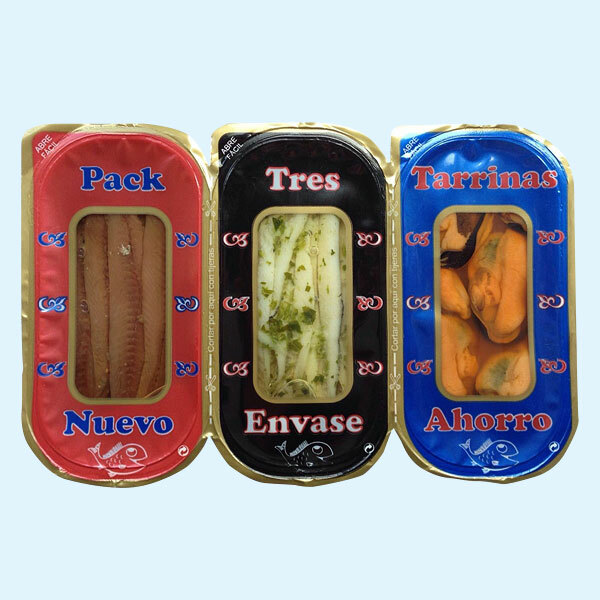 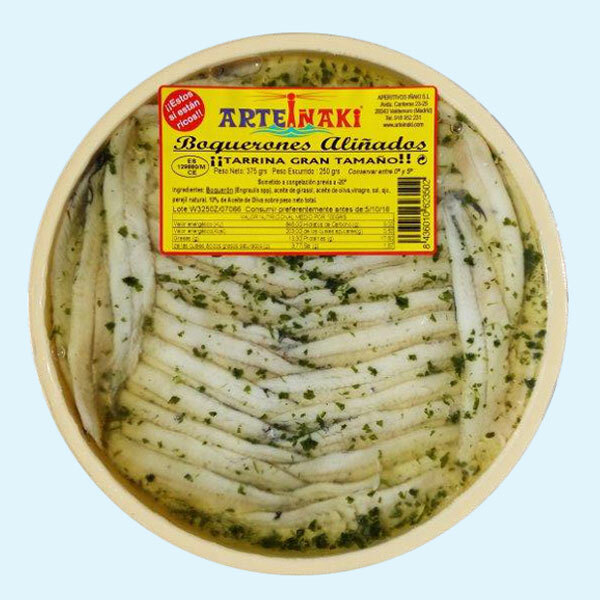 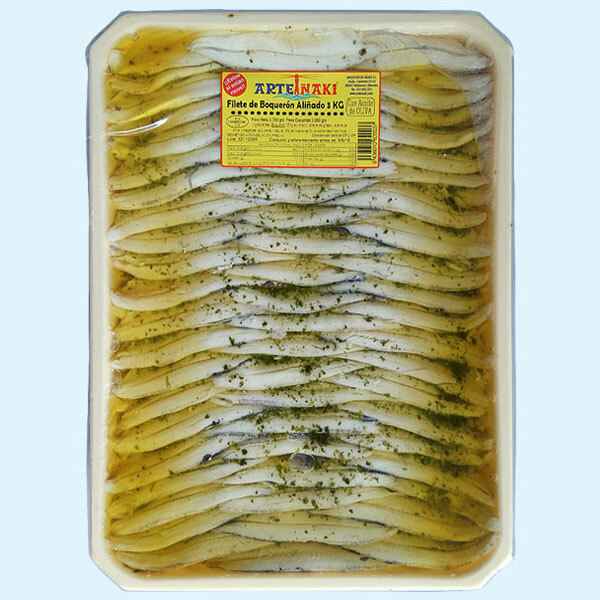 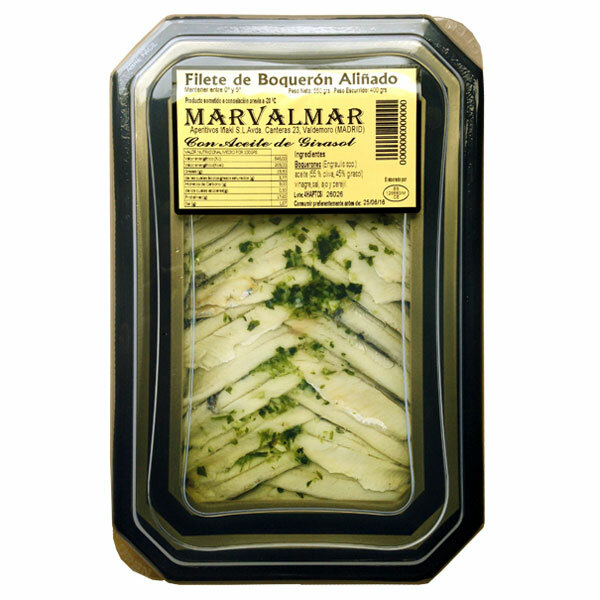 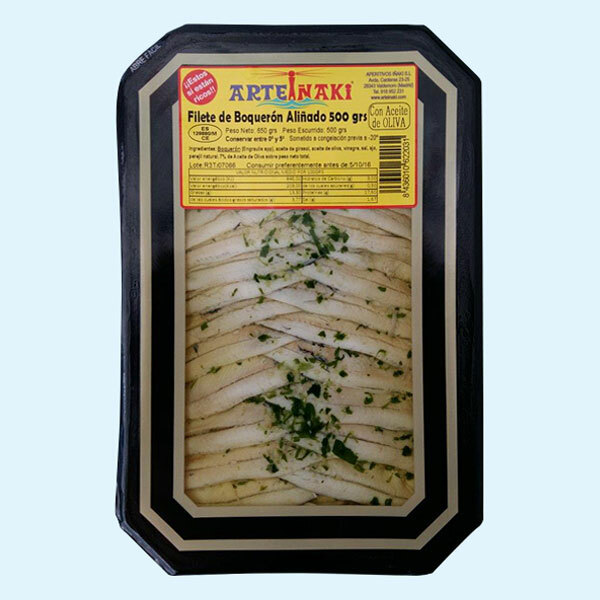 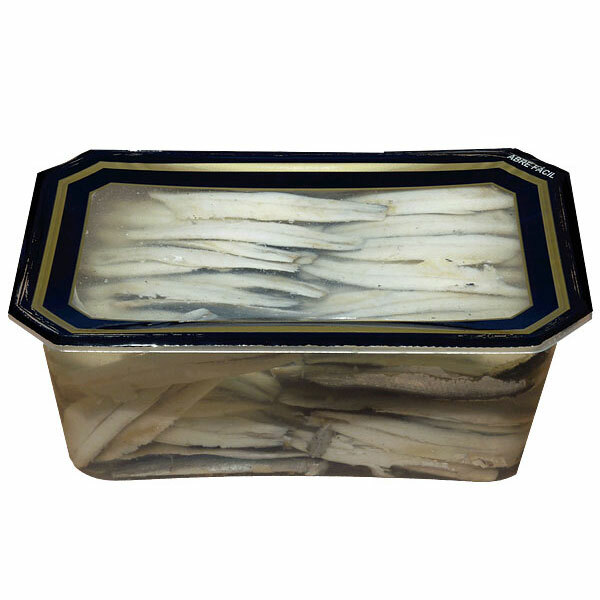 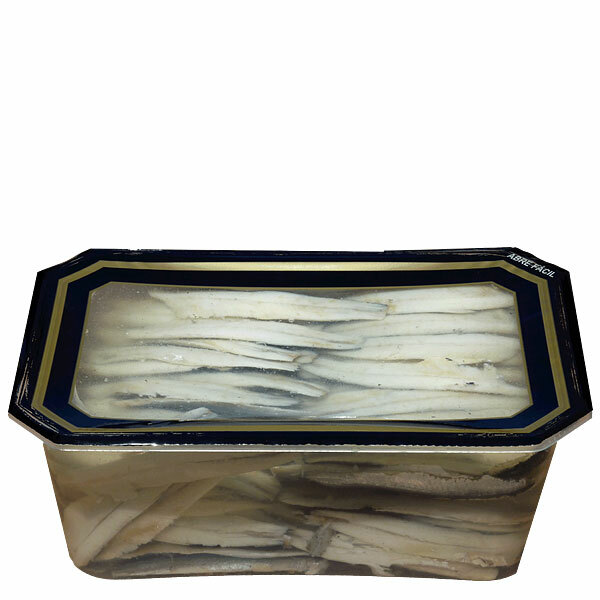 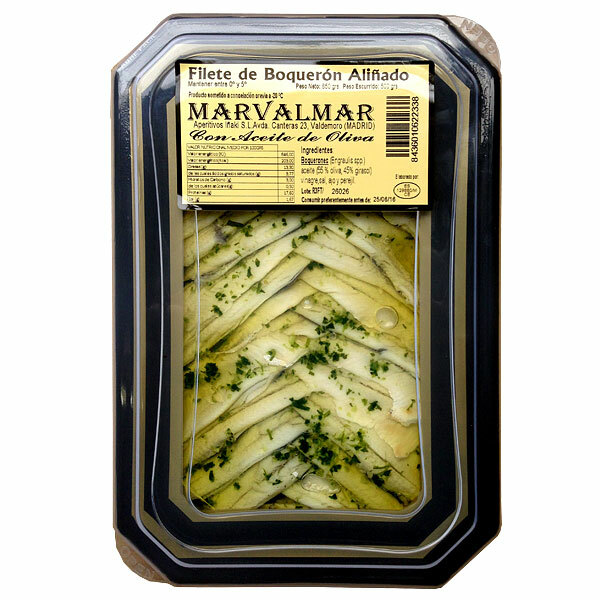 Under this brand we package a size of fillet that is a little smaller than the anchovy that is used in the ARTEIÑAKI line, so the unit price of the fillets as an aperitif is attractive to the hospitality trade in large size packages.